c.2000 BC - c.1500 BC Partly legendary Xia (Hsia) dynasty. c.1600 BC - 23 May 1046 BC Shang (Yin) dynasty. 1046 BC - 256 BC Zhou (Chou) dynasty. 551 BC - 479 BC Lifetime of Kong Fuzi (Confucius). (b. 260 BC - d. 210 BC) reigns. 206 BC - 10 Dec 220 AD Han dynasty (9 - 24 AD, briefly interrupted). 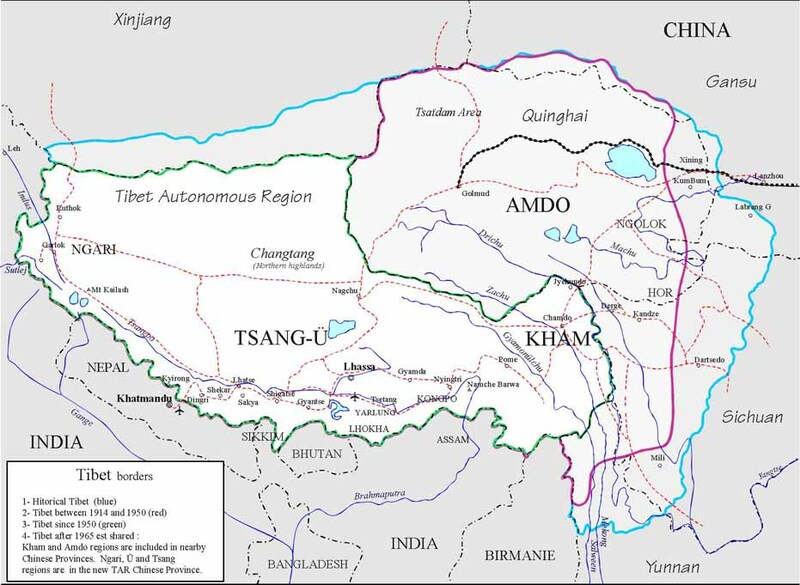 10 Jul 420 - 12 Feb 589 Divided under Northern and Southern dynasties. 4 Mar 581 - 23 May 618 Re-unification under the Sui dynasty. 18 Jun 618 – 1 Jun 907 Tang dynasty. Southern Tang [937-975]; Northern Han [951-979]). 4 Feb 960 Song (Sung) dynasty inaugurated. 28 Jan 1115 - 9 Feb 1234 Great Jin (Jurchen) dynasty in Northern China. 18 Dec 1271 Great Yuan (Yüan) Empire founded by the Mongols. 19 Mar 1279 Mongols defeat last Song forces at Battle of Yamen. in dissidence in southern China to Jan 1659). Beijing on 6 Jun 1644). 28 May 1858 Left bank of Amur River annexed by Russia. 4 Jul 1871 - 24 Feb 1881 Russia briefly annexes Ili. 2 Jun 1895 - 25 Oct 1945 Taiwan annexed by Japan. 10 Oct 1911 Revolution begins. Jan 1913 - 7 Oct 1951 Tibet de facto independent. 1 Dec 1911 (Outer) Mongolia declares independence. 1 Jul 1917 - 12 Jul 1917 Restoration of Great Qing Empire. 19 Feb 1920 - 3 Feb 1921 Mongolia briefly re-incorporated. 10 Sep 1931 - 15 Aug 1945 Japanese occupy Manchuria (see Manchukuo). River valley and the coastal provinces. Republic of China continues on Taiwan only. Note: Emperors are listed with their personal name (ming), followed by their temple name (miaohao), posthumous name (shi), and the era name (nianhao) roughly coextensive with the particular reign (note that the overlap is not perfect). Although it is customary in "Western" sources to refer to a Qing ruler by his nianhao (i.i., the Guangxu emperor), Chinese usually refer to a former emperor by his miaohao, perhaps preceded by the name of the polity (i.e., Qing Dezong). ¹According to the treaty signed between the Qing (Ch'ing) court and government of the Republic of China, Puyi (P'u-i)(s.a.) retained the title Emperor, received an annual payment from the Republic of China government, had the right to live in the Forbidden City, to be protected by imperial troops, to grant noble and honorary titles, and to maintain certain government organs in the Forbidden City (mainly for management of the Forbidden City and other palaces, management of imperial families, etc). Inside the Forbidden City the flag of the Qing dynasty was flown. People in the Forbidden City continued to wear the Qing official dress and used the Qing calendar system. On 1 Dec 1922, the Emperor married and his wife was called Empress. On 5 Nov 1924, Puyi was forced to leave the Forbidden City by a faction of the army of the Republic of China and the above mentioned privileges were ended. 25 Oct 1864 Extinguished by Qing empire. 24 Jul 1858 Extinguished by Qing empire. 27 Sep 1855 Great Cheng Realm inaugurated. 21 Aug 1861 Extinguished by Qing empire. is also referred to as the Panthay rebellion. 1 Jan 1912 Republic of China proclaimed. 1 Jul 1917 - 12 Jul 1917 Brief restoration of the Great Qing Empire (s.a.). Note: The following provincial military governments proclaimed their independence from the Qing Empire in the name of a Republic of China in gestation at the end of 1911, and combined in a Central Military Government at the end of November. there are questions about its actual significance. Note: The name of the polity is still Republic of China, but it overlaps the preceding polity of that name, has a different flag and government system, and eventually a different capital Nanjing (Beijing is in fact deprived of the name-part jing, meaning capital, and is renamed Beiping after the demise of the "warlord" regime). During the Sino-Japanese war the capital is moved to Chongqing (Nov 1937 - May 1946). On 8 Dec 1949 the capital is moved to Taipei, Taiwan. Coverage of the Republic of China from that point continues under Taiwan. or a substitution for Chiang. Transliteration note: Names are given in Hanyu Pinyin romanization (the first edition of Hanyu Pinyin was approved and adopted on 11 Feb 1958 and it was officially adopted by the People's Republic on 1 Jan 1979). 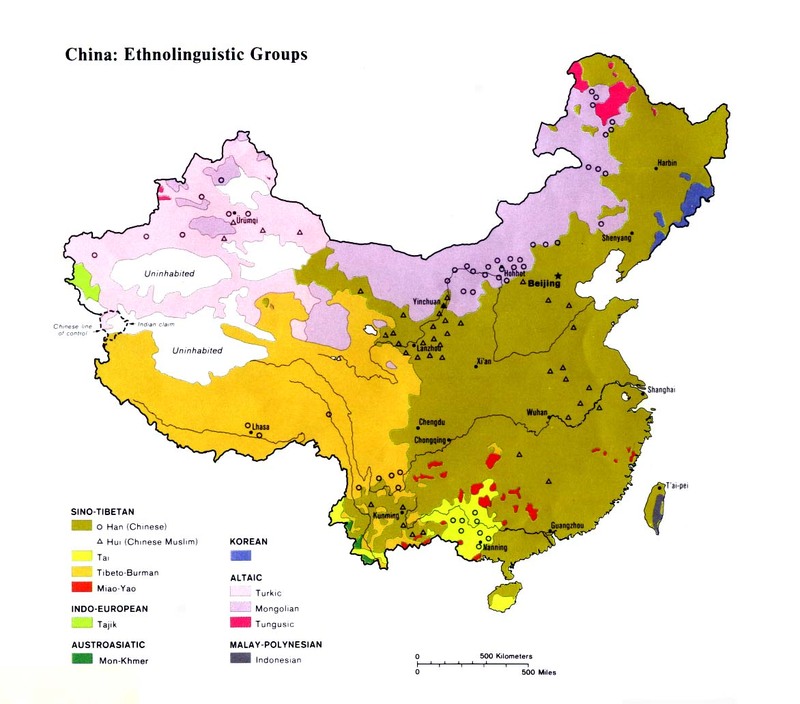 Prior to 1979, names are given in parentheses in the older Wei Tuoma or Weishi Pinyin (Wade-Giles) romanization, i.e. Li Yuanhong (Li Yüan-hung). in rebellion against Nationalist China). 8 Dec 1949 Final remnants of Nationalist government flee to Taiwan. Note: Deng Xiaoping (Teng Hsiao-p'ing)(b. 1904 - d. 1997) was de facto leader from the late 1970's to the early 1990's. He did not take over the chairmanship of the State, the Government or the General Secretary of the Party, but from 1978 to his death in 1997 he was the unquestionable Paramount Leader. From Jun 1981 he was Chairman of the Military Affairs Committee. It is impossible to provide exact dates; he rose to power after being rehabilitated in Jul 1977 and became more and more frail in the 1990's (he last appeared in public 9 Feb 1994). ²The title "chairman" for the heads of state in 1954-1975 represents the same Chinese term (zhuxi) that is commonly translated "president" for the heads of state after 1983. ³Vice-chairmen of the Standing Committee during the vacancy: Wu De (b. 1914 - d. 1995), Song Qingling (f) (s.a.), Liu Bocheng (b. 1892 - d. 1986), Wei Guoqing (b. 1913 - d. 1989), Saifuding Aizezi (Seypidin)(b. 1915 - d. 2003), Chen Yun (b. 1905 - d. 1995), Tan Zhenlin (b. 1902 - d. 1983), Li Jingquan (b. 1909 - d. 1989), Ulanhu (b. 1906 - d. 1988), Guo Moruo (b. 1892 - d. 1978), Xu Xiangqian (b. 1901 - d. 1990), Nie Rongzhen (b. 1899 - d. 1992), Zhang Dingcheng (b. 1898 - d. 1981), Cai Chang (f) (b. 1900 - d. 1990), Ngapoi Ngawang Jigme (b. 1910 - d. 2009), Zhou Jianren (b. 1888 - d. 1984), Xu Deheng (b. 1890 - d. 1990), Hu Juewen (b. 1895 - d. 1989), Li Suwen (f) (b. 1933), Yao Lianwei (b. 1935 - d. 2012), and, from 2 Dec 1976, Deng Yingchao (f) (b. 1904 - d. 1992). 4Vice-premiers of the State Council acting during the vacancy: Deng Xiaoping (s.a.), Li Xiannian (s.a.), Chen Xilian (b. 1915 - d. 1999), Ji Dengkui (b. 1923 - d. 1988), Hua Guofeng (s.a.), Chen Yonggui (b. 1915 - d. 1986), Wu Guixian (f)(b. 1938), Wang Zhen (b. 1908 - d. 1993), Yu Qiuli (b. 1914 - d. 1999), Gu Mu (b. 1914 - d. 2009), and Sun Jian (b. 1936 - d. 1997). Territorial Disputes: Continuing talks and confidence-building measures work toward reducing tensions over Kashmir that nonetheless remains militarized with portions under the de facto administration of China (Aksai Chin), India (Jammu and Kashmir), and Pakistan (Azad Kashmir and Northern Areas); India does not recognize Pakistan's ceding historic Kashmir lands to China in 1964; China and India continue their security and foreign policy dialogue started in 2005 related to the dispute over most of their rugged, militarized boundary, regional nuclear proliferation, and other matters; China claims most of India's Arunachal Pradesh to the base of the Himalayas; lacking any treaty describing the boundary, Bhutan and China continue negotiations to establish a common boundary alignment to resolve territorial disputes arising from substantial cartographic discrepancies, the largest of which lie in Bhutan's northwest and along the Chumbi salient; Burmese forces attempting to dig in to the largely autonomous Shan State to rout local militias tied to the drug trade, prompts local residents to periodically flee into neighboring Yunnan Province in China; Chinese maps show an international boundary symbol off the coasts of the littoral states of the South China Seas, where China has interrupted Vietnamese hydrocarbon exploration; China asserts sovereignty over Scarborough Reef along with the Philippines and Taiwan, and over the Spratly Islands together with Malaysia, the Philippines, Taiwan, Vietnam, and Brunei; the 2002 Declaration on the Conduct of Parties in the South China Sea eased tensions in the Spratlys but is not the legally binding code of conduct sought by some parties; Vietnam and China continue to expand construction of facilities in the Spratlys and in Mar 2005, the national oil companies of China, the Philippines, and Vietnam signed a joint accord on marine seismic activities in the Spratly Islands; China occupies some of the Paracel Islands also claimed by Vietnam and Taiwan; China and Taiwan continue to reject both Japan's claims to the uninhabited islands of Senkaku-shoto (Diaoyu Tai) and in 23 Nov 2013 China's declaration of an "air defense identification zone" in an area that includes islands and Japan's unilaterally declared equidistance line in the East China Sea, the site of intensive hydrocarbon exploration and exploitation; certain islands in the Yalu and Tumen rivers are in dispute with North Korea; North Korea and China seek to stem illegal migration to China by North Koreans, fleeing privations and oppression, by building a fence along portions of the border and imprisoning North Koreans deported by China; China and Russia have demarcated the once disputed islands at the Amur and Ussuri confluence and in the Argun River in accordance with their 2004 Agreement; China and Tajikistan have begun demarcating the revised boundary agreed to in the delimitation of 2002; the decade-long demarcation of the China-Vietnam land boundary was completed in 2009; citing environmental, cultural, and social concerns, China has reconsidered construction of 13 dams on the Salween River, but energy-starved Burma, with backing from Thailand, remains intent on building five hydro-electric dams downstream despite regional and international protests; Chinese and Hong Kong authorities met in Mar 2008 to resolve ownership and use of lands recovered in Shenzhen River channelization, including 96-hectare Lok Ma Chau Loop; Hong Kong plans to reduce its 2,800-hectare Frontier Closed Area (FCA) to 400 hectares by 2015. Jilin, and Liaoning provinces) begins. 21 Jan 1933 Jehol (Rhehe) annexed. 1 Dec 1937 Japan renounces extraterritoriality in Manchukuo. 9 Aug 1945 Soviet forces begin invasion. 15 Aug 1945 - May 1946 Occupied by the Soviet Union. ¹Manchukuo was only recognized by the following countries: Japan (14 Sep 1932), El Salvador (3 Mar 1934), Italy (20 Nov 1937), Spain (2 Dec 1937), Germany (12 May 1938), Hungary (14 Jan 1939), Slovakia (1 Jun 1939), Poland (19 Oct 1939), Rumania (3 Dec 1940), Bulgaria (14 May 1941), Finland (19 Jul 1941), Denmark (Aug 1941), Thailand (1 Aug 1941) and Croatia (2 Aug 1941); along with the Japanese sponsored - Wang Jingwei's China National Government at Nanjing (30 Nov 1940), Philippine Republic of José Laurel (1943) and the Provisional Government of Free India (1944). The Holy See sent a representative ad tempus (18 Apr 1934), but it did not formally recognize Manchukuo. of the United Mongolian Autonomous Committee. Japanese sponsored National Government China at Nanjing. 1514 Khanate of Kashgaria founded part of Djagataide Khanate. 1694 - 1720 Occupied by Dörben Oyirad. Jul 1759 - May 1826 Occupied by Qing Empire. 1820 - 1828 Aqtaghliq rebellion. 1864 Detached from the Qing Empire Kingdom of Qäshqäriyä (Kashgaria). 1870 Polity renamed Jiti Shahar. 28 Dec 1877 Re-incorporated into Qing empire. 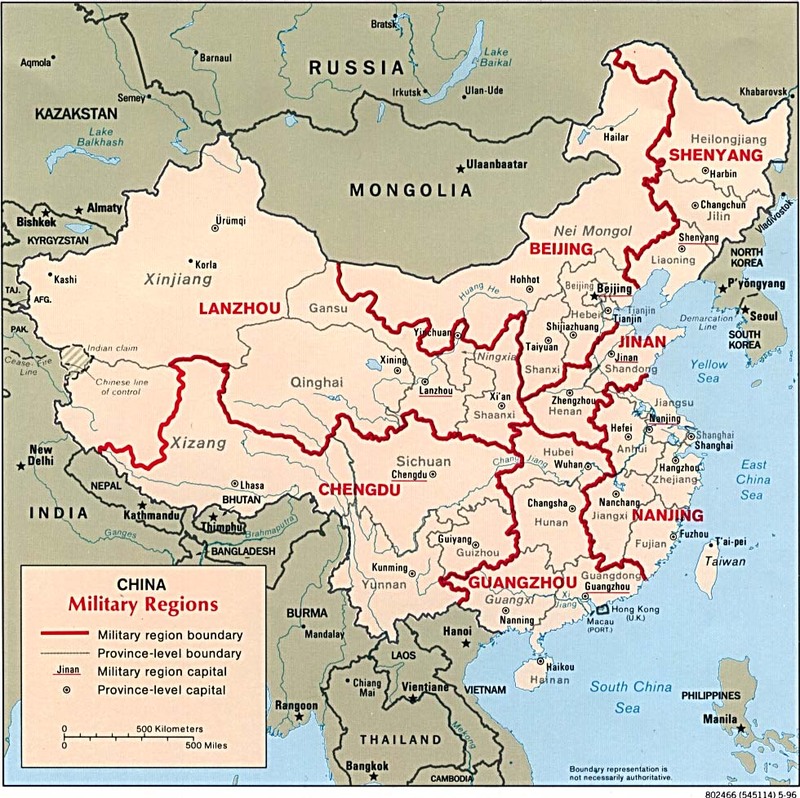 1928 - 16 Jun 1946 De facto autonomous from central Chinese government. 6 Feb 1934 Re-incorporation into China declared. 16 Jun 1946 Re-incorporated into China. 1 Oct 1955 Creation of Xinjiang Ughur Autonomous Region. 1755 - 1755 Chinese occupation. 4 Oct 1755 - 4 Oct 1757 In rebellion against Chinese suzerainty. Mar 1756 Annexed by China. 168. - 1715 Vassal of the Dörben Oyirad. 1715 - 1757 Vassal of the Qing dynasty (called "Hami" by the Chinese). 1757 Incorporated into China, khans continue to rule. 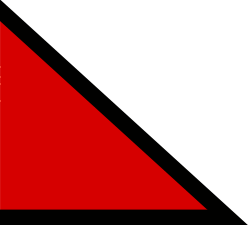 1931 Khanate abolished by Xinjiang provinical government. 20 Feb 1931 - Jul? 1934 Rebellion against provincial government. 842 - 1216 Era of fragmentation, central authority collapses. 1247 - 1368 Under Mongol (from 1271, Yuan dynasty) rule. 1641 - 2 Dec 1717 Under suzerainty of the Qoshot (Khoshut) Khanate. effectively made him the temporal ruler of all Tibet. 2 Dec 1717 - 24 Sep 1720 Under suzerainty of the Dörben Oyirad (Dzungar Khanate). 24 Sep 1720 Under suzerainty of the Qing (Ch'ing)(Chinese) Empire. 24 Mar 1856 - 7 Sep 1904 Makes tributary payments to Nepal. (b. 1863 - d. 1942). with any other foreign powers. other foreign state to interfere within the territory of Tibet. revolution and the Dalai Lama returns from exile in Jun 1912.
is an integral part of China and agrees not to station troops. China and India (China refuses to ratify the convention). Nov 1946 Tibetan delegates refuse to sign Chinese Constitution of 1947. 20 Jul 1949 Tibet ejects the representative of Nationalist China. 7 Oct 1950 Chinese intervention. 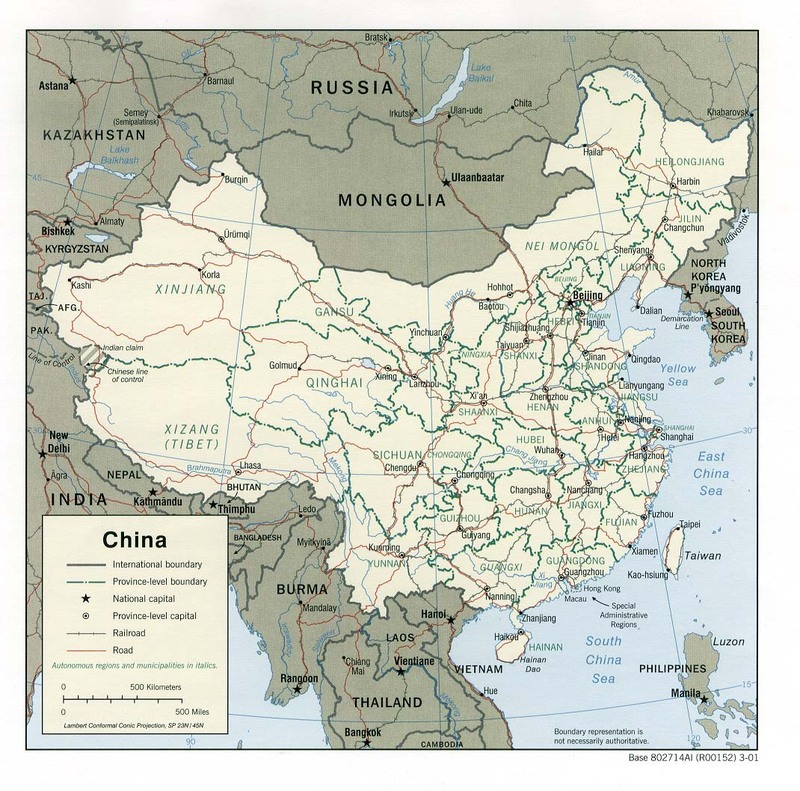 23 May 1951 Re-incorporation into China (see Tibetan region). 31 May 2011 Renamed Tibetan Administration. Note: No political parties existed prior to the 7 Oct 1950 Chinese invasion.